While the landscape of extreme music has evolved since Godflesh emerged from the post-industrial wasteland of Birmingham – the British answer to Detroit – in the 80s, the stark contrast between abstract, conceptual art and “rock” music is apparently much the same: middle-class concert-goers accustomed to a rich diet of mindless entertainment have little understanding or appreciation for the creative’s drive to transgress boundaries and expectations; yet the pairing of a solo power electronics act like Dominick Fernow’s Prurient with the influential and respected founders of industrial metal aka Godflesh is a reminder that extremity or innovation is the path by which new art achieves popular acceptance over time. Whether or not the crowd at Venue on Monday night considered this, they applauded Fernow’s extreme audio assault nevertheless. Delivered via distorted mic and a tabletop cluttered with electronics, screeching waves of distortion and feedback interspersed with melodic textures accompanied the performer’s frenzy of convulsive movements across the stage. Although the solipsistic nihilism of power electronics is unlikely to gain any popular commercial appeal, Prurient’s uncompromising sensory assault remains a welcome disruption of convention. 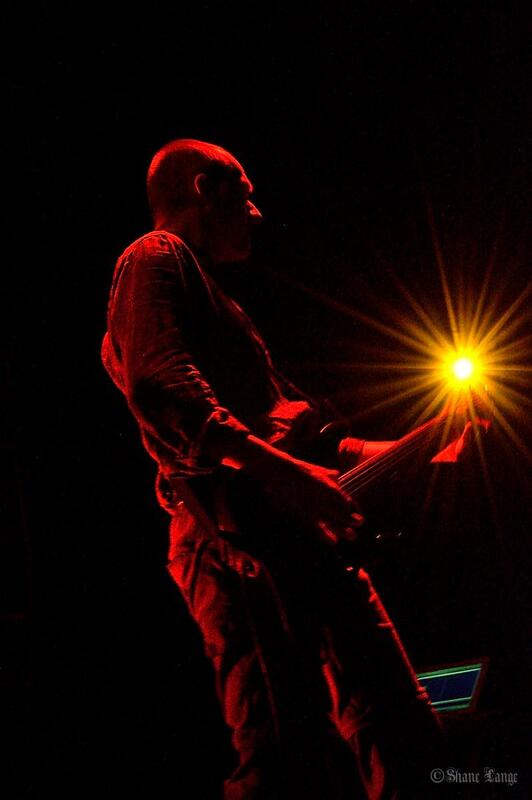 One might consider the industrial dub rhythms of Godflesh almost comfortable by comparison, as modern popular music has borrowed so much from extreme and “underground” influences over the years that a listener can parse virtually anything with an identifiable beat and rhythm; fortunately, having cultivated a unique aesthetic across his several musical projects (e.g. Techno Animal, Curse of the Golden Vampire, Greymachine, JK Flesh, etc.) vocalist/guitarist Justin Broadrick is something of a rhythm expert whose latest recording under the Godflesh moniker (along with bassist G.C. Green), A World Lit Only By Fire, demonstrates an austerity in songwriting that translates well to a live setting, crushing the listener under rolls of heaving bass and burning guitar textures with a keen sense of rhythm. Broadrick and Green, accompanied by sequenced laptop rhythms, performed a mix of new tracks and fan favourites (e.g. “Streetcleaner”, “Spite”), closing with encore “Like Rats”.